The 1958 Corvette was designed at a time when cars with four headlamps were considered flashy. The model itself is excessively stylized, which is why many Corvette fans love it. Furthermore, the design and improvements in functionality we see in this model did a lot to raise the sales of the Corvette. In that year, 9,168 Corvettes were produced. 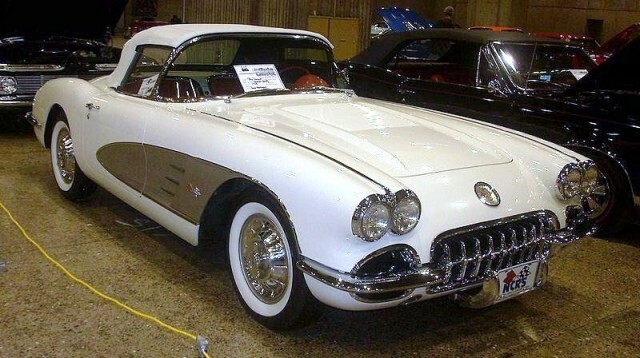 This was the first model in the line of Corvette models to include factory-installed seat belts. This model was part of the first generation of Corvette sports cars. The history of the 1958 Corvette goes back to the year 1951. In that era, there were few sports cars that were affordable to the average enthusiasts of such vehicles. The best at the time was the Nash-Healey, a product by Nash Motors. Nash-Healey was the first two-seat sports car produced in the USA after World War 2. This automobile was, however, very expensive. That is what inspired a General Motors designer, Harley Earl, to design a two-seat sports car model. This project would eventually lead to the creation of the 1958 Corvette. It was started in 1951. The project came up with the EX-122 Corvette prototype. This prototype was shown to the public in New York on 17th January of 1953. The company began producing Corvette vehicles in the middle of the year. In 1953, about 300 Corvette vehicles were hand-built in Michigan as the company set up a factory for full-scale operations. In its early years, sales for the Corvette were so low that the company considered shutting down its production. This, however, didn’t happen because of a few improvements in the design and specs of the vehicle, coupled with certain events in the automotive industry. Dual chrome rimmed headlights were the trend in the sports car industry, and Corvette was not getting left out. The model featured four of these headlights, two on either side of the vehicle. To make it even flashier, it also has chrome spears on its trunk lids. Fake hood louvers are present as well. Because it was extreme, the flashy design of this vehicle attracted a whole lot of people. At the same time, many individuals disliked the model because of its excessively flashy design. Hip room – 59.6 inches. Shoulder room – 49.4 inches. Leg room – 46.5 inches. The increased size also made it heavier than the previous Corvette. The curb weight of the model was 3,334 pounds. The V8 engine was first used in the 1957 Corvette, but was already used by competitor vehicles by that time. 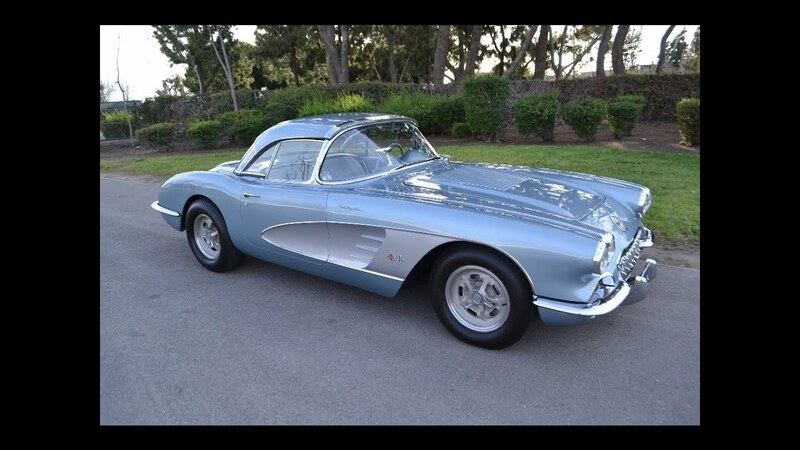 However, the 1958 Corvette became the quickest production car in the world because of a small bit of improvement. This was ram-jet fuel injection. The Rochester mechanical continuous post-injection system was created by a group of GM engineers. Because of this, the 1958 Corvette could achieve 20 mpg quite easily in highway driving. Ram-Jet fuel injection also gave the model an overwhelming power band. This was a first for the automotive industry. The inclusion of a hydraulic valve train in this model reduced the maintenance costs of the vehicle. There is no need for service on this type of valve train, and adjustment is not even necessary. The hydraulic valve train stays through the whole timeline of the vehicle; this greatly reduced the operational cost of the car. A major downside to this, however, is the fact that these valve trains are very sensitive to the quality of oil used. Changing oil too frequently can also block the tappets and channels in the 1958 Corvette. The 1958 Corvette vehicles were either automatic, standard manual, or optional transmission. Additionally, the automatic Corvette vehicles used two-speed power glide transmission. The other two types are three-speed and close ratio synchromesh transmission. Three-speed manual transmission with fuel injection. Three-speed manual transmission with fuel injection and high lift camshafts. Three-speed manual transmission with dual four-barrel carburetors. Power glide automatic transmission with fuel injection. Three-speed manual transmission with four barrel carburetors and high lift camshafts. Power glide automatic transmission with dual four-barrel carburetors. Cast iron block engines retain more heat, which means that they eventually give more power. These engines are also less prone to temperature expansion issues. On the other hand, aluminum engines reject more heat. Therefore, they reduce the efficiency of vehicles. Cast iron is also better at handling wear in the cylinders and is highly effective in dampening noise. On the flip side, cast iron engines are heavier than their aluminum alternatives. You can easily get help for the 1958 Corvette by visiting dealerships such as Corvette Specialty, Corvette America, Pro Team Corvette, and Southern Car Parts. If you want to upgrade or modify your Corvette vehicle, you can get help from services such as Corvette Performance Expert. You can make the exhaust tips exhale from underneath the car’s bumper, instead of the stock spot in the rear of the vehicle. You can adjust the throttle to make the car more responsive to your pressing. Throttle adjustment is a way of making the car more fun to drive. For the automatic 1958 Corvette cars, you can also install a front mounted fluid cooler. The Corvette was among the earliest two-seat race cars. It stands out for its flashy design and excessive styling. Corvettes have a lot to offer, and their owners can modify them to look and run much better. If you have more ideas on how to modify the 1958 Corvette, please let us know in the comment section below.